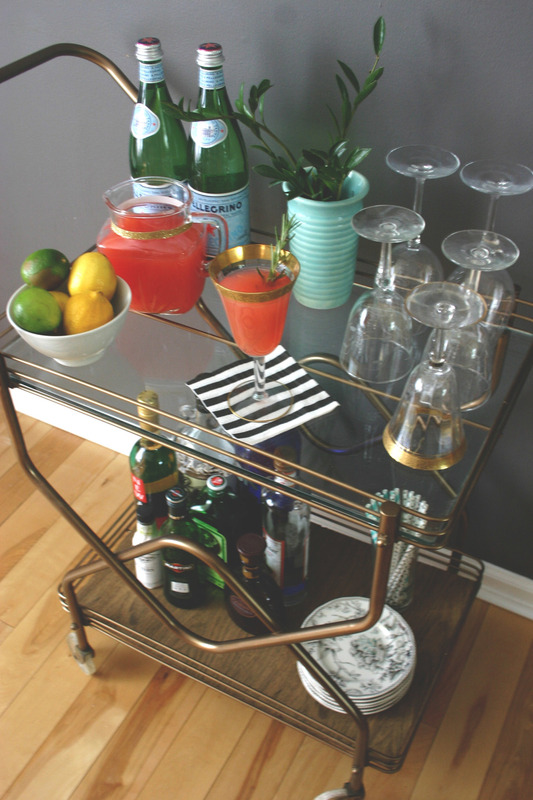 Bar Cart Makeover — 5 O'CLOCK DESIGN CO.
A finished project deserves a drink! I bought this bar cart a thrift store for a mere $6 and even though it was in pretty rough shape, I was immediately excited about its potential! A good cleaning, a coat of bronze-y gold spray paint, and a new bottom shelf, and it is looking pretty sharp! Since the bottom piece of glass was missing, I re-used and cut to size a piece of backing that was removed from a different project. I think the walnut color brings an appropriate mid-century vibe. I toyed with replacing the casters but eventually decided that I liked the character of the existing ones. So that's that! A quick, simple makeover that resulted in a gorgeous addition to my dining room! 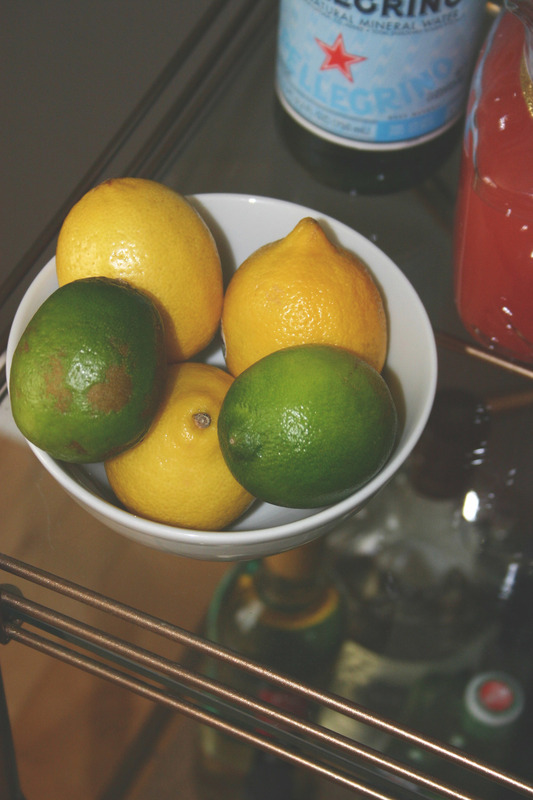 Since it is a bar cart after all, I decided a simple, summery cocktail was in order! This Rosemary Greyhound is light, fresh, and easy. The recipe is from Natalie at Tastes Lovely.